It is an amateur radio activity which consists of transmitting an analog audio/video signal as satellite do (satellite analog video broadcasting). Audio signal is frequency modulated at 6.5 MHz, combined with the video signal and then the resulting signal is modulated in FM at 1.240 MHz forming a high quality signal 27 MHz wide which can be transmitted to the final receiver directly, or through a repeater. 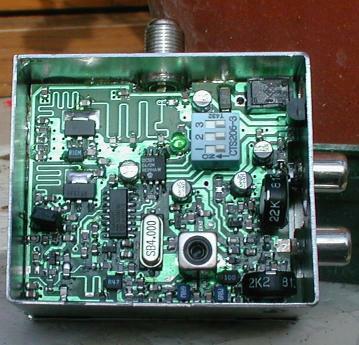 The repeater I usually use is located on the top of "Monte Pizzoc", a mountain 22km from me: it has several receiver and transmitter in the UHF-SHF bands with a switch matrix remote controlled (using DTMF tones). 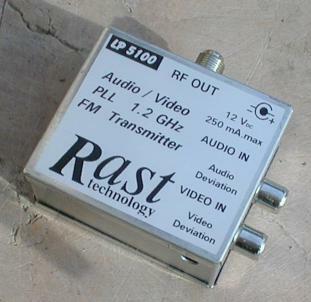 Obviously, transmitter is used with a normal camera to transmit audio and video in real time; to receive ATV signal, old analog satellite receivers are used in combination with a preamplifier. 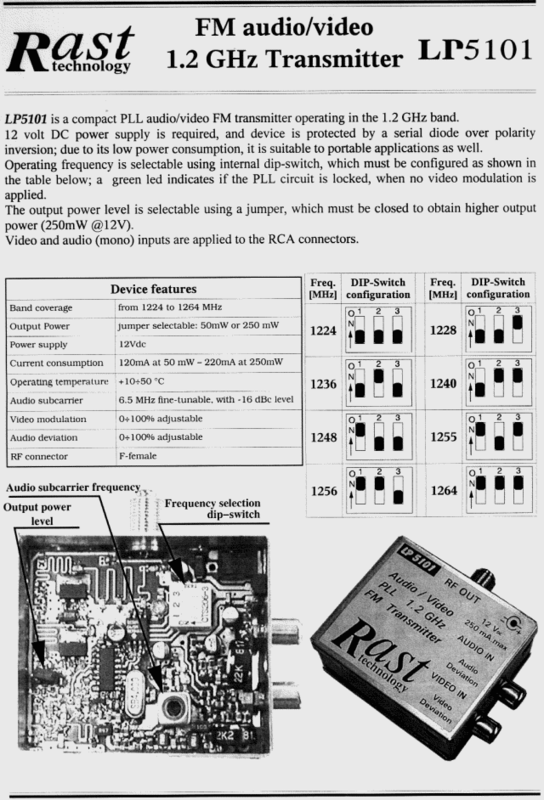 The sheet below describe the transmitter I use in the 24cm band: it supply up to 300mW at 13Vdc power supply, with a low current consumption (about 220 mA). 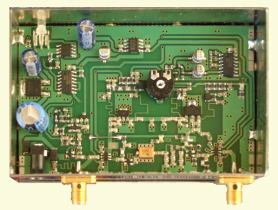 This project is a bidirection amplifier which permit to achieve 30Bm (1Watt) output power with 15-16dB gain in TX, and more than 20dB filtered gain in RX. 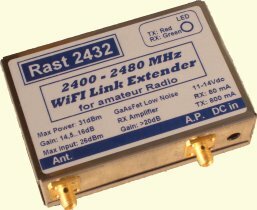 It can be used only in 2400-2480MHz ISM band, due to RX filtering! Can I use this amplifier at 2300 MHz? Can I drive this amplifier with a common Audio/Video extender? 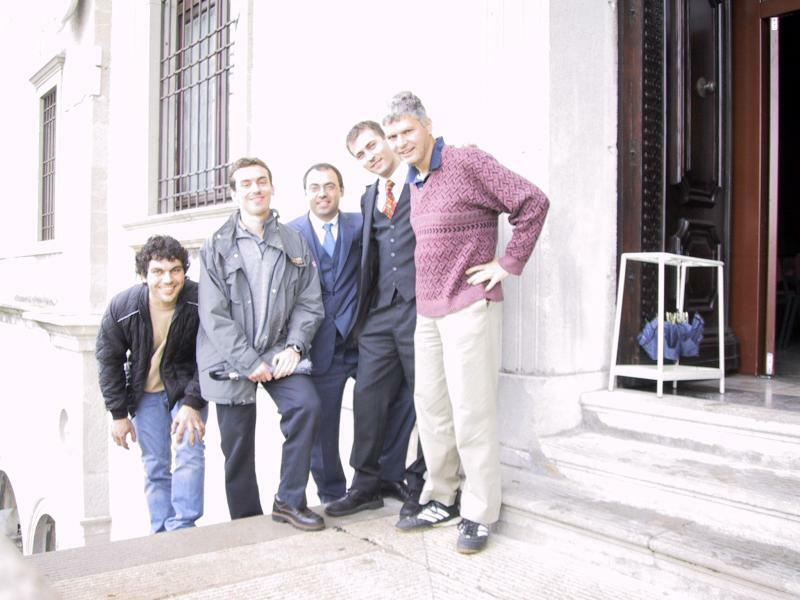 A documenti about italian ATV repeater and band plan, written at the Magenta ATV conference 2005, is available.